The genius in his stable. President Trump’s official workday starts around 11:00 a.m. and ends around 6:00 p.m., according to his private schedule, obtained by Axios — and his work hours have apparently shrunk since the beginning of his term. Trump has his first meeting of the day with Chief of Staff John Kelly at 11am. He then has “Executive Time” for an hour followed by an hour lunch in the private dining room. Then it’s another 1 hour 15 minutes of “Executive Time” followed by a 45 minute meeting with National Security Adviser H.R. McMaster. Then another 15 minutes of “Executive Time” before Trump takes his last meeting of the day — a 3:45pm meeting with the head of Presidential Personnel Johnny DeStefano — before ending his official day at 4:15pm. That is evidently representative of a typical workday, where a meeting or two are fit in around “making phone calls and watching cable news in the dining room adjoining the Oval [Office],” per the report. 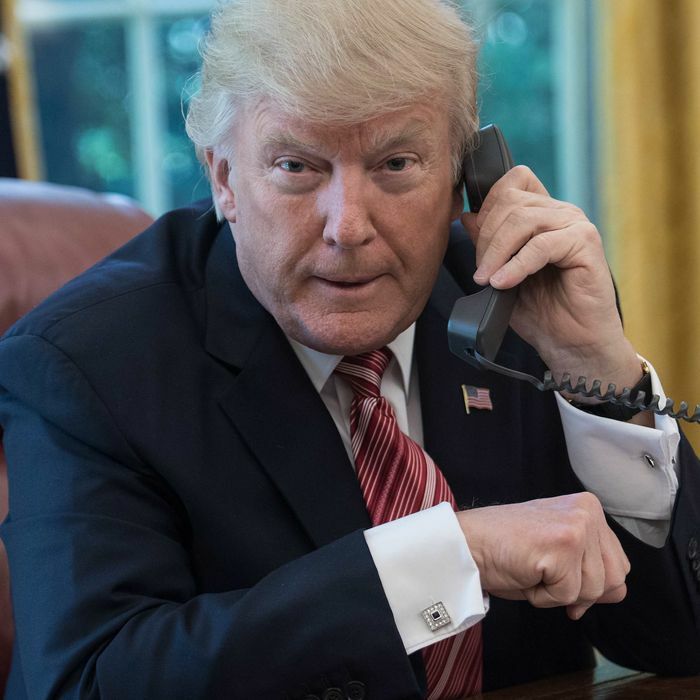 After 6:00 p.m., Trump can finally get back to more calls and more television at his official residence, which is where unnamed aides say his time is often unstructured and undisciplined. The always-active Trump apparently doesn’t get enough sleep, either. Trump apparently used to work longer hours and have more meetings at the beginning of his presidency, but he didn’t like that and made some changes. What has remained consistent, however, is the president’s weekend golfing routine.